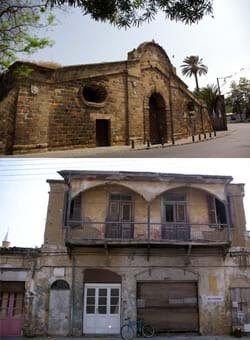 The walled city of Nicosia has much to offer and it is well worth taking the time to stroll through the atmospheric inner city. Bear in mind of course that the city is divided and you will have to pass through the Green Line if you wish to visit the northern side. The moat of the city now contain gardens and recreation areas. The House of the Dragoman on Patriarch Gregorios Street is a fine example of urban Ottoman Architecture that is open to visitors. There is the Archbishops Palace, which is easy to spot with its large statue to Archbishop Makarios outside, and the associated Byzantine and Folk Art Museums. 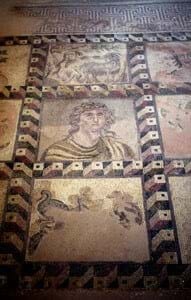 Also just outside the city walls close to the Paphos Gate is the Cyprus Museum with its wonderful collection of Cypriot antiquities from all over the island. The Famagusta Gate is the most impressive of the old Venetian Gates. The central zone near the Green Line preserves some wonderful buildings. Some have been restored but others, such as this one, preserve there beauty despite their dilapidated facades. 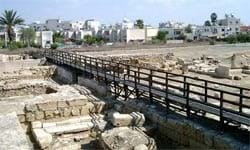 Much of the modern city of Larnaca has been built over the ancient city of Kition that dates back to the Bronze Age. These remains have been excvated at a number of points in the city and are still visible. 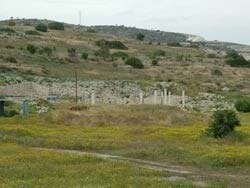 Close to the District Museum, is the Ancient Acroplois whilst ot the north west there are two further areas. As well as visiting the District Museum, the private Perdies Collection Museum is also highly recommended. 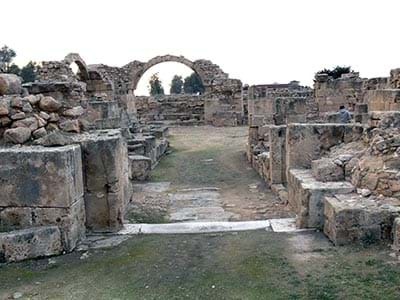 Kition, the ancient city underlying the modern town of Larnaca. Restored Late Bronze Age giant pithoi outside Larnaca Museum. 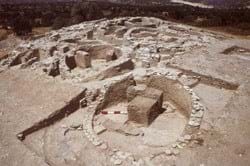 Part of the Iron Age city of Amathus spread across the hill, much of the lower city now lies just submerged off shore. 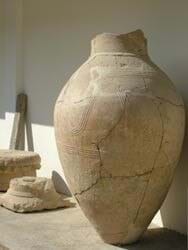 A giant stone jar from Amathus which now lies in the Louvre, Paris. 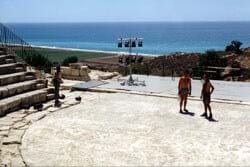 Impromptu performance at the Amphitheatre at Kourion, the beach below can be seen top left. Remains of the lower city on the beach. 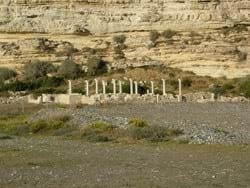 Various castles in the island of Cyprus are evidence of the conquerors. In Kyrenia there are four castles, Kyrenia Castle, Kantara Castle, St. Hilarion Castle and Buffanvento Castle. 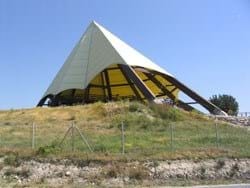 These Castles are forbidden to Greek-Cypriots to visit ,since 37% of Cyprus is under Turkish occupation. 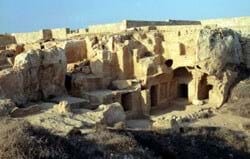 There are three castles in the Greek section of Cyprus, Limassol Castle, Kolossi Castle and Pafos Castle.